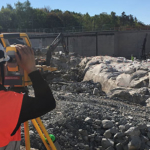 Read about how Adtollo customers are using Topocad survey and mapping software. It’s about doing it right from the start. To get a base that complies with reality, survey technician Markus Johansson on Geodetik sends up a drone. With day-to-day pictures and surveyed objects, the design or drawing in Topocad is up-to-date. The number of errors are decreasing, Markus says. In advanced glasses, the real terrain and digital design are simultaneously visible. 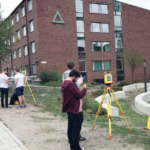 It provides a more efficient way of projecting, says Rikard Svall at 5D Consultants who developed the working method where Topocad has an important role as information carrier. At Hovås Mätkonsult, one has developed a standardized way of working, controlled by the prototype drawings presented in Topocad. 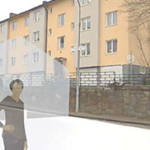 This contributes to the flow of information in the projects”says Filippa Christiansen. The pace is high at the engineering company GeoDeal. To achieve good quality in data input from the field, Topocad is used. It has become a daily routine at the company. 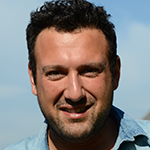 – It is unusual how many file formats Topocad can read, says Frederick Håkansson, CEO. T o work effective, the software needs to keep up with the technical development and be able to handle large amounts of data. That is one of the reasons why the region manager at Teodoliten Mätteknik, Ali Afsahi, has chosen to work with Topocad. The software adjusts to the way I think, he says. 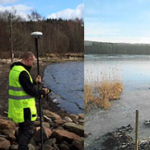 Joakim Sköld, a survey technician at SVEAB, has used Topocad for almost four years. Topocad is one of his most important tools. SVEAB is a full service company that handles commissions of great variety. 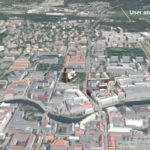 In one of their latest projects their assignment is to build a passage for pedestrians and cyclists under the railroad at the Central station in Uppsala, Sweden. This project is part of the Travel center Uppsala. The work began in February 2006 and is scheduled to finish in March 2010. 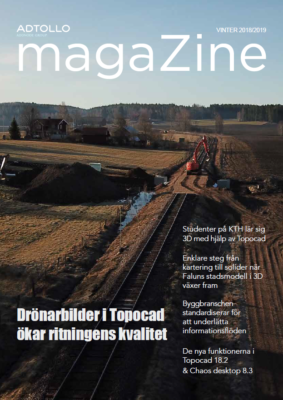 – I use Topocad daily for volume calculation and control of quantities and areas, says Joakim Sköld. A large amount of case studies are avaliable in different areas, please contact us for further information.